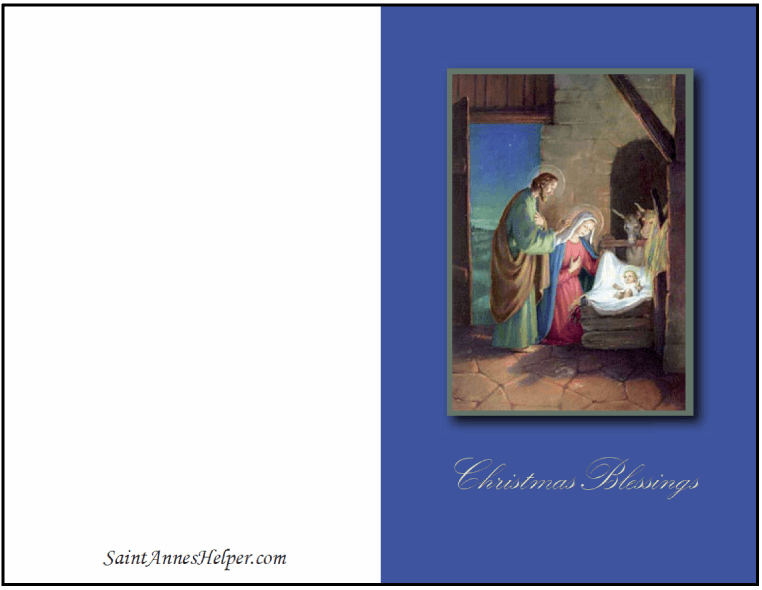 We have a dozen free printable Christmas cards. This one has a sweet Nativity Scene of Joseph, Mary, and Jesus in the manger with the hills of Bethlehem in the background behind the crib. Prints 8.5x11" PDF single side. Click to print this Nativity Christmas card.